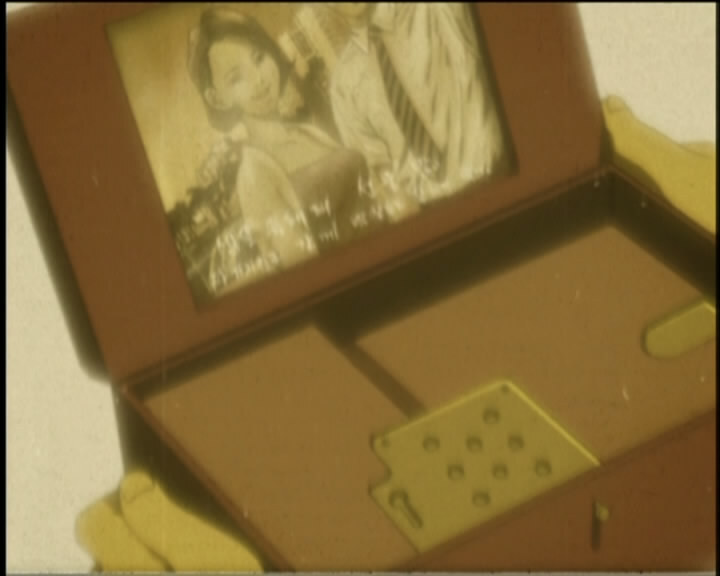 Episode 12 of Rahxephon concluded with Ayato failing to destroy the Dolem; it retreated, implying that it will return but also crucially showing its intelligence. Exactly how much TERRA and the human forces know about the Dolems is unclear; there is little shown in terms of knowledge about how to fight them for the most common strategy, be it one of complacency on Kunugi’s part or genuine ignorance, is “let the Rahxephon do it” – an interesting comparison to the clinical, scientific approach taken by NERV in Rahxephon‘s inspiration, Evangelion. NERV almost always know exactly how to destroy the enemy; the Angels have highly visible weak points or predictable attacks – but at the same time they have an unreliable robot and pilot, and frequently neither the manpower nor technology to properly exploit the weakness. TERRA is always one step behind in Rahxephon, yet this ineffectuality is counterbalanced by the extreme firepower advangate they have – the Rahxephon itself does not need to identify weaknesses in its enemies, it simply destroys them. 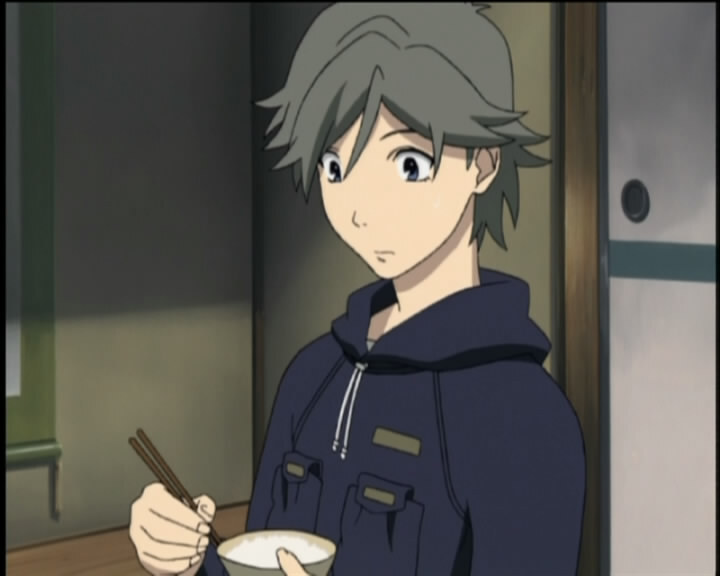 The fifth episode of Rahxephon built up to a series of guarded revelations that both explained more of what the future holds for the story and also explained how powerless Ayato actually is within it; the conspiratorial confusion that defines the action is given a more cruel, personal aspect in how it is denying him apparently simple answers to genuine and reasonable questions. It is clear he is being used to the audience, and his realisation of this is the main dramatic conflict within the episode. Yet it ends with some measure of harmony; while his life with Megumi and her uncle is a strange one based on necessity over genuine friendship, the way it is visually framed in the cliches of young love suggests there is hope for the future. Episode six begins some time after this, immediately revealing its core conflict. The personal is apparently being set aside for the human-versus-alien war that one might expect from a mecha animé.